The Jones Brothers make great knives but some of their best known designs are their “Party Favors”. These items are often innocuous looking self defense tools. The Low-Key is one such item. 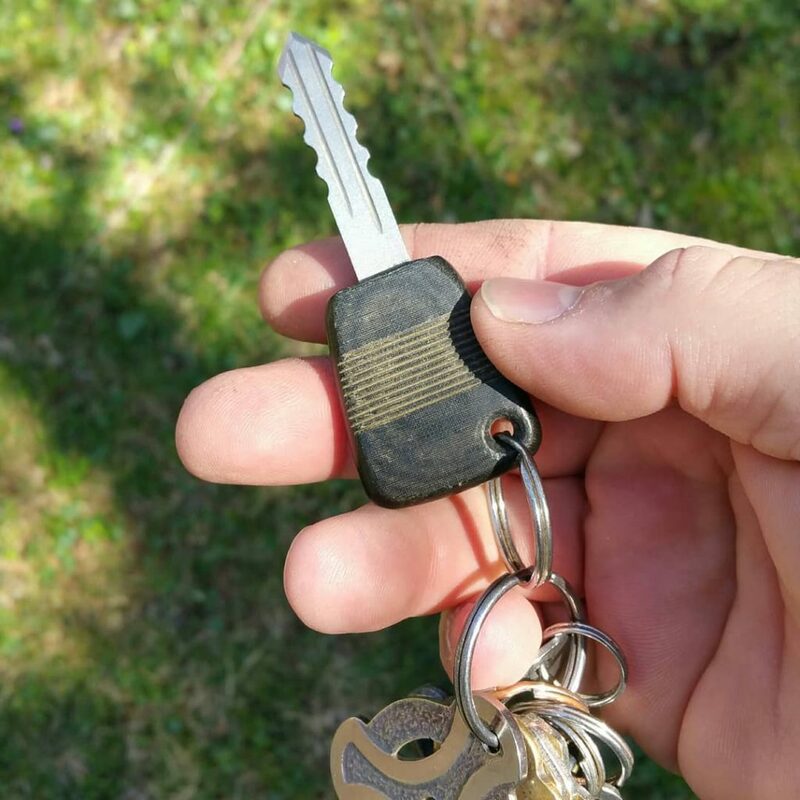 It looks very much like a car key at first glance but a closer inspection reveals that it is a functional thumb dagger! The black micarta handle gives the user a solid grip. The blade is sharpened at the end for piercing. It is sharp enough to be pressed into soft targets but not so sharp as to cut up your pockets. As with many of the items that the Jones Brothers create, these are sold on a first come, first serve basis. If you want a chance at one, I suggest following them on their social media and/or the Jones Brothers sub-forum on the Usual Suspects Network. So, since none of us could crank out one of these on the garage grinder, how much are the asking?